We asked some of TradeSanta bots’ active users to share their trading experience. 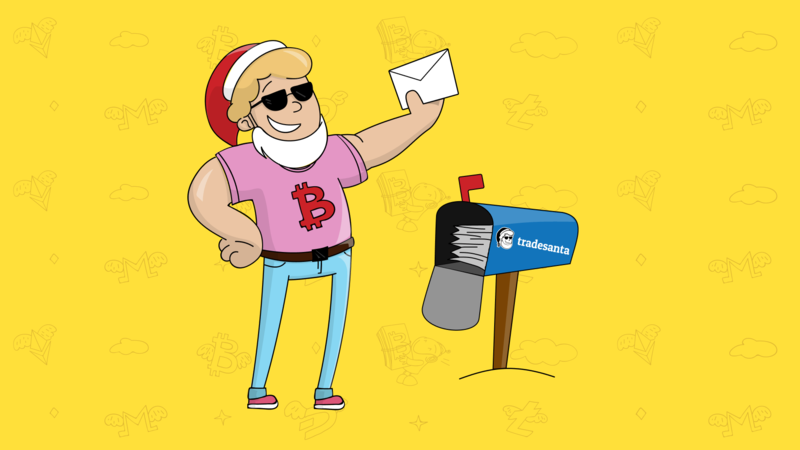 Maarten, Marcelo, Anonymous User, CryptoWoman and Loz Hughes kindly shared their principles of choosing strategies, predictions about 2019, and useful tips they would give to every new user on TradeSanta platform. How long have you been trading? Tell us about your trading experience. Maarten: I’m trading crypto since September 2017. Started on the hype . Besides crypto I also trade traditional equities since early 2015. I was looking into building a bot by myself (I’m software developer), but I have limited free time to do so. So I got really interested when I read the article about TradeSanta. Typically, I check the bots in the morning, around noon and in the evening. Before TradeSanta I used those moments to make trading decisions. So now it’s a way smoother experience as I only have to see whether there are some bots with issues, or if the market turned against them. Marcelo: I have been involved in the crypto universe since the end of 2015, conducting trades, participating in projects, ICOs, etc. In trading, I dedicated myself strongly in 2017, being that I used some automated solutions, but none pleased me. So I started to trade manually which is a bit time consuming besides the psychological aspect, also often disrupt by the very nature of the operation in crypto. I had excellent results manually, but it consumes time and requires analysis too. During 2018 I did not trade, and only now I have started again with TradeSanta in November. It surprised me with its simplicity and objectivity of the platform. Anonymous User: I got into trading several years ago: tried trading on stock market and tried Forex. At some point I stopped trading by myself and gave money to “professional traders”. It was the biggest mistake of my life. They have been trading much worse than me. What is more, there are lots of scammers amongst such traders. I’ve been in crypto since August 2017 (mining, running some masternodes, HODLing), but haven’t tried automated trading until I read an article about TS. CryptoWoman: I have owned many tokens since December 2017 and have watched them lose 80% of their value. I’ve never traded before, and I’ve never used a trading bot before too. TradeSanta is the first bot I’ve ever used. Loz Hughes: TradeSanta is really my first trading experience as such. Up until now I only ever used exchanges to change currency and crypto when I needed to. I have some experience with automated arbitrage trading, but I’m a very casual trader. I literally spend no more than an hour each day looking at charts, exchanges and news articles, I’m still learning the ropes. I found TradeSanta to be very helpful in breaking down the process of setting up bots and creating an API, the guides offered were a lifesaver, to the extent that as a newbie I barely needed any help at all and the terminology breakdown for each section helped me to understand and make my own trade decisions based on how cautious I wanted to be. I think it’s safe to say, without TradeSanta I’d have shield away from trading with bots. How do you choose a strategy and a pair to trade? How many bots do you have running? Maarten: I look at the volume and volatility of a pair. Volume needs to be high enough over the last couple weeks, as well as volatility. At the moment I have 16 bots, and all of them are BTC based. Marcelo: I stay conservative, my pairs selection is focused on the market capitalization and on currencies to which, in case of failure in trading, is interesting to apply the HODL of the same. For example, BTC (mainly), ETH, LTC, XRP, XLM, TRX, ADA, NEO, USDT, etc. I have around 30 bots in total. Bots, that operate in long and short, are in the same pairs, which helps in my HODL-strategy for some coins. Anonymous User: Either I’m bullish, choosing long strategy in oversold market with 100 billion MC, or I’m choosing just coins I believe in (that they will last next few years). I short only with coins I am holding long-term, for example LTC. One month ago I was trying to put realistic targets 0,5% max in the market that has gone to the side. But I realized it was too much. Even if 0,5% was set up, 3 BTC were stuck. Then I have tried to put many low profit bots, 10 bots for same pair to make trading more frequent, but it’s useless without fixed trading volume. CryptoWoman: I don’t have any strategy, I moved away from BTC and started trading with a stable coin. I just use the coins I already had because I believe in the projects of most of them. My favorites are EOS, TRX, and NEO. Currently, I have about 17 bots running. Loz Hughes: My strategy is generally quite fluid: initially ran both long and short together in multiple pairs, then found out that it was too many pairs, and the extra order was where the profit margin was made as such, so I had to rethink and streamlined. I was initially on KuCoin so my pairs were picked with exchange volume in mind and the current crypto I held. When KuCoin had issues I had to restart, and moved to Binance which required a much larger trade, so I had to condense my funds to just two pairs at the moment. Though this results in less diversity, I’m hoping in the long term I’ll make enough profit to expand my pairs. Also the function on the website that lists best performing pairs according to the exchange also helped my decision, along with the volume. I ran roughly 20 bots on KuCoin, Binance has currently three with another one in new year if the profit continues. I am happy with the results. In your opinion, what would 2019 be like for crypto? Maarten: I expect BTC to keep trading in a range of $2500 – 6000. Altcoins will continue to oscillate around BTC. Marcelo: I remain optimistic, I think same not only in short term but in the long term as well. I’m absolutely sure that we will reap good results in the coming years. But as in the traditional financial market, the stories are always repeated, ups and downs are cyclical and have to repeat themselves, we need to take advantage of these ups and downs. Anonymous User: Who knows. Hopefully, more adopters, more institutional investors will come. We need much bigger market capitalization to stabilize market. But I think 2019 will be similar to 2018 year, we will go to the side, that is my prediction. CryptoWoman: Boring. I feel that the real take off will happen in 2020-2021. Loz Hughes: I would like to say 2019 we’ll see a rebound in crypto but I think it’s highly likely to continue as a bear market for a while longer, at least four months or so. I’m staying conservative in my guesses as coming from the UK, and Brexit looming, finances, economy and markets are on a lot of peoples minds here. I think there’s a way to go before we say the likes of December 2017 again. What advice would you give to new Santa users? Maarten: Stick to the defaults. Don’t be greedy and impatient. But watch out when the market turns against your bots. Marcelo: Read the documentation, participate in the discussion group, start with a maximum of 4 bots, and minimum volumes to start using the solution and make the adjustments that suit you best. Then increase trading volumes to where you feel comfortable, as well as the number of pairs. And do not forget to think not only of long but also of short, which is an excellent strategy to increase the amount of your preferred coin. CryptoWoman: Start small and get into the telegram support area ASAP! Loz Hughes: Stick to well known pairs to start with, ensure you have enough funds for extra orders and start with small amounts to learn the system before using all funds. Research long and short strategies and their pros and cons depending on market conditions. Don’t be afraid to ask for advice/tips from the community, chances are someone else may be experiencing the same issues or thoughts.